It has a title that sounds like a pulpy radio serial from the 1930s. Its premise — two cousins team up to create a comic book centered around a superhero called The Escapist — hardly sounds special or deep. And yet, The Amazing Adventures of Kavalier and Clay is probably the finest novel I’ve ever read, a moving and entertaining and thrilling saga that won the Pulitzer Prize. 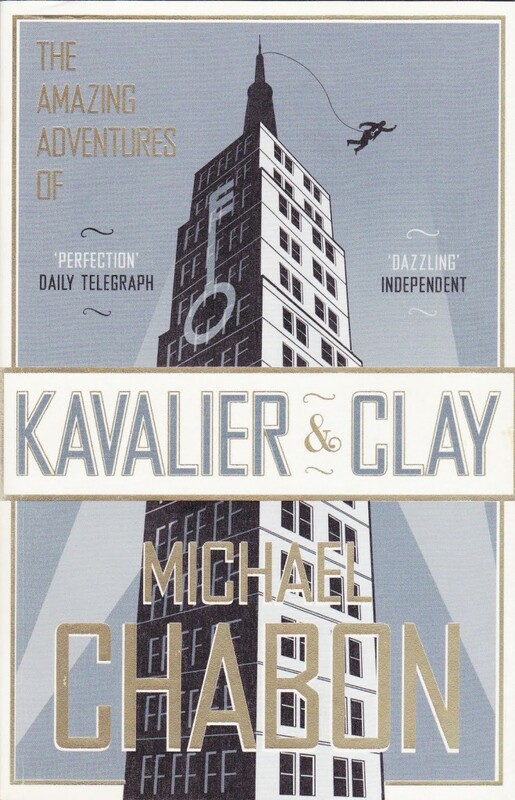 Michael Chabon transforms a story that could have been predictable or too heavily on-the-nose into a sprawling, rich story. It’s nothing short of a masterpiece. The cool trick that the book pulls is that it makes Kavalier and Clay heroes in their own right. The novel centers around two artists who start as teens — Joe Kavalier and Sammy Klayman — as they endure various personal strife, and they each find truly great ways to overcome as they create comic books. The book follows them as they grow (or don’t grow) into middle age. We see them fall in love and make lots of personal discovery. Both are fantastic, unforgettable characters, but Joe is really something special. The extended opening section of the book recounts how he ended up in the US and could have been a marvelous novella in its own right, and there are a few other sections of the book that give Joe some really interesting isolated stories. The book is obsessive in its description of comic books and the history of the industry. There’s something so rewarding about the way Chabon immerses you in the world of comics. It’s an enthusiastic portrayal of the controversial world of comics, unafraid to show what makes comic books great and what makes them troublesome. But there’s so much more going on here, both in plot and theme. The novel spans World War 2 and the moral backlash to comics. As the characters are Jewish and the story spans the 1940s, you can guess there is plenty of Holocaust-related drama, but it’s far from oppressive or overbearing. The theme the really propels the novel is its consideration of “escapism”: Why do we entertain ourselves? Why do we create and consume fantasies? How is this good and bad for the soul? The book finds a lot of different ways to answer these questions. And then there’s the actual writing. Holy crap. The prose is gorgeous and compulsively readable. For a mammoth, decades-long epic filled with big ideas, this book is unputdownable. There’s a sustained intensity and focus in the writing. The storytelling is consummate, bringing us into so many richly imagined worlds and adventures. Usually when you see books honored or nominated for big-time literary prizes like the Pulitzer or the National Book Award, you’re in for something heavy, even turgid. But, like hiding pills in the dog food, Chabon sneaks the big stuff in among immense entertainment. Reading this was a long, profound, and rewarding experience. The word count is not small, but the pages fly by, and the result is so, so worth it. ← Dan’s Top 100 Everything: Where Were We?